Sleep is an essential part of staying healthy and being able to function at your best. 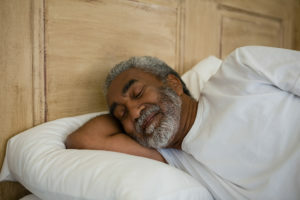 As a family caregiver, you may find yourself not getting the sleep you need, or not getting good enough quality sleep. This can not only make it harder for you to keep up with your care responsibilities, but also put your health and well-being at risk. Finding ways to improve your sleep and make getting enough rest a priority can help you to keep yourself healthy and be the caregiver your parent needs. The customizable nature of home care is why this type of care can be so valuable to your aging parent and to you as their family caregiver. Every person is an individual and their needs are unique to them, which means the care and support they receive should be as well. An in-home senior care services provider can be there for your parent when it is best for them to ensure they have access to the right care. For some seniors, this means help winding down for the day and getting a good night’s sleep. A care provider can be with your parent in the evening to help them with the nighttime routine and then stay awake and alert throughout the night to ensure they stay safe and get any care and assistance they may need during the night. 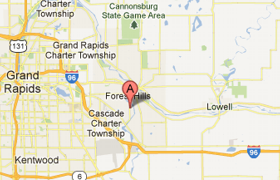 If you or someone you know needs help with Home Care in Cascade, MI, contact Gauthier Family Home Care. We provide quality and affordable home care services in our community. Call us at (616) 258-2300 for more information.